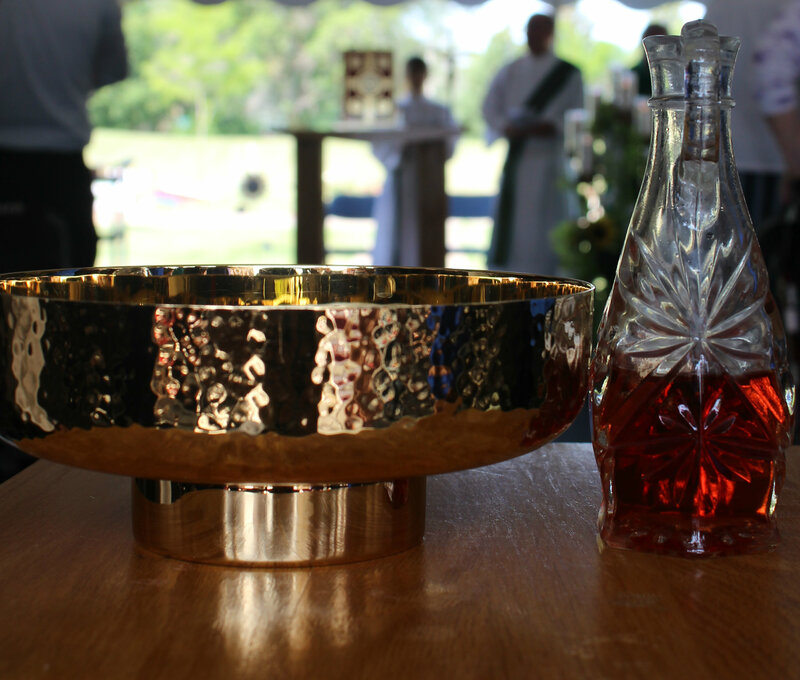 Sacraments happen in the context of the larger Church and the parish community of faith. They are not simply private exchanges between the believer and his/her God. If that were the case, the purpose of Church would be only to provide personal inspiration to our members. While inspiration may and should occur, that is only part of the sacramental picture. There must also be a sense of community that speaks loudly of our responsibility for one another in faith. It is this community that is initiating and welcoming others into full practice within it. The church is the People of God gathering together to praise God as His family in the world. The first is to attend a class on the meaning of the sacrament. Class is held as need arises. The second is that at least one of the parents be baptized and also be a registered member of St. Clare Parish. Eucharist is the source and summit of Catholic life and celebration of First Eucharist is an exciting event for young Catholics and their families. Children are invited to prepare for the sacrament when they reach the age of reason, usually around age seven or in the second grade. A minimum of two years of Catholic instruction is required to participate in this sacrament. For more information, Contact the Director of Religious Education at the parish office. Candidates for the sacrament of Confirmation must be baptized Catholics who are at least sixteen years of age. They should be ready to affirm their baptism with the celebration of their Confirmation. For more information, contact the Director of Religious Education at the parish office. Our Rite of Christian Initiation of Adults (RCIA) program is for adults who want to become Catholic. For more information, contact the Director of Religious Education at the parish office. 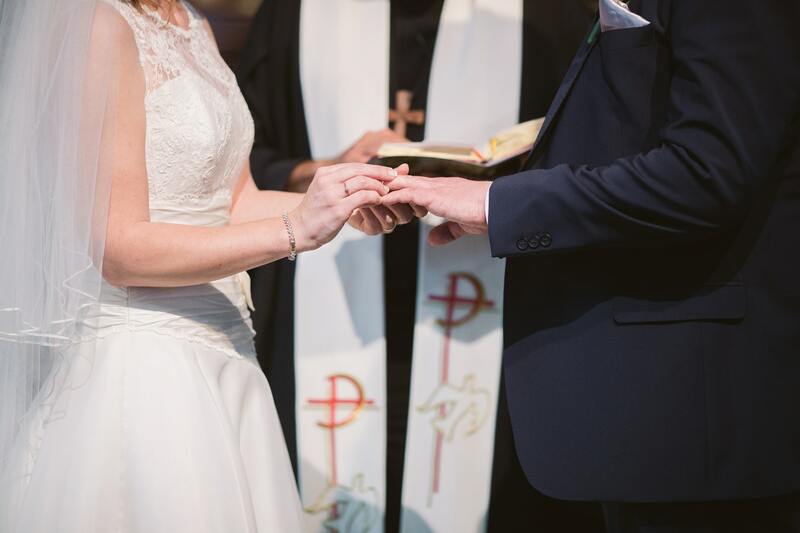 The matrimonial covenant, by which a man and a women establish between themselves a partnership of the whole of life, is by its nature ordered toward the good of the spouses and the procreation and education of offspring; this covenant between baptized persons has been raised by Christ the Lord to the dignity of a sacrament. Arrangements must be made with the Pastor at least 6 months prior to the wedding. You will find many of the forms needed attached to this website. Reconciliation enables us to reconcile with our loving God. Most children prepare for Reconciliation during their second grade year and are invited to participate in the celebration of the sacrament during a scheduled service in December. The Sacrament of Reconciliation is offered each Saturday at 3:00 PM. The sacrament is also available by appointment with Father at any time. Communal celebration with individual confession and absolution are held seasonally. A communal celebration of this sacrament is held in October and May. This sacrament is not just for those in immediate danger of death. It may be offered to anyone who is seriously ill or anyone with a chronic illness. Never delay anointing until the point of death. Father will also visit a home, hospital or nursing home to administer this sacrament when requested. A priest does not anoint those who have already died. Nevertheless, he or a member of Pastoral Care staff can be called when a loved one has died. They are more than willing to come and pray with the family and offer consolation. After your loved one has passed away, please contact the parish office so that arrangements can be made. Just as a Catholic begins his/her life in Church with the sacrament of Baptism, so should the family and friends celebrate a love one's earthly life and his/her birth to everlasting life with a Catholic funeral. During the funeral, the symbols of baptism are used: water is sprinkled on the deceased, the Easter candle is lit, and a white pall is placed on the casket. The Mass of Christian Burial may take place on any day except during Holy Week (Palm Sunday-Easter Sunday), Holy Days and Sundays. Burial may take place in a Catholic or public cemetery. Cremation is allowed. Visitation may take place in the church if the parish schedule allows. Please contact the parish office at 262-895-2729 for more information or to register for any sacraments described here.